Apple can try and spin it any way it wants, but the harsh reality remains that iPad sales have been slumping for years. In fact, it's been quite a few years since Apple has seen year-over-year iPad sales growth over the course of a quarter, despite CEO Tim Cook's assertions that the iPad remains the future of computing. That debate aside, there do appear to be some shakeups comings to Apple's iPad lineup, a fact that shouldn't be all that surprising given Cook's remarks regarding the iPad earlier this year. "We've got some exciting things coming on iPad, and I'm optimistic about where things are headed," Cook said about three months ago. That being the case, there are reports that Apple at WWDC this year will introduce a brand-new 10.5-in. iPad Pro with an edgeless display. Now, what makes this particularly intriguing is that Apple will reportedly fit said 10.5-in. display into a form factor no bigger than the current 9.7-in. iPad model. While it's perhaps too soon to say with any certainty, Apple's upcoming edgeless iPad may be Apple's last real chance at injecting a bit of life into its tablet lineup. Commenting on the rumored product, MacRumors relays the following remarks from analyst Ming-Chi Kuo. Also of note is a recent report claiming that Apple's iPad Mini is about to go the way of the Dodo. According to BGR, the iPad Mini, amid slumping sales, will be given the ax in the not too distant future. 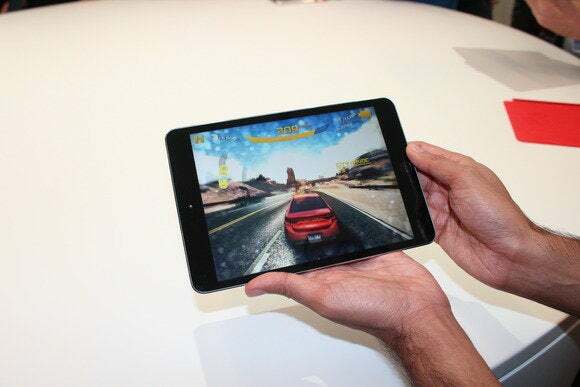 Citing sources familiar with Apple's plans, the report indicates that Apple isn't shy about cannibalizing its own products and that the iPad Mini's sales figures do not justify continued development of the Mini product line. As for cannibalization, the proliferation of larger-screened iPhone models has arguably rendered the iPad Mini less of an intriguing product than it was at launch.